This calculator program is capable of taking input of any number with number buttons, Clear the screen, Perform Addition Subtraction, Multiplication and Division. No Negative numbers yet. To keep it simple I’ve not gone into decimal calculations or scientific formulas. This code is written to learn the GUI capabilities of iOS and Xcode. There is lot of scope for improvement, but idea is to start very simple. Choose application to be deployed only on iPhone platform. 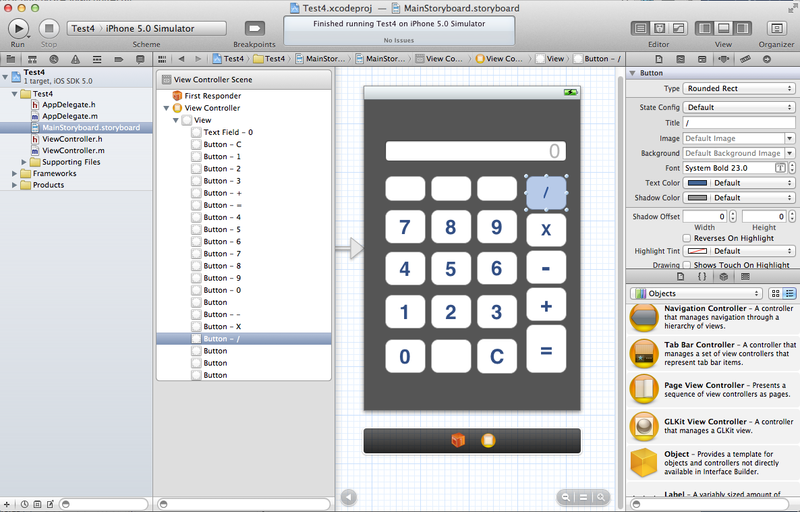 Step – 2: Go to storyboard and design the calculator using the Object Panel on right bottom. Create 0 to 9 buttons, operations like add, subtract, multiply and divide. Also add the ‘C’ button to clear and ‘=’ button for actually doing total. Create textfield object to show the numbers pressed. Increase the font size to 30 point in attribute inspector to achieve same look as mine. CalcOperation enum is created to say these are the operations which will be supported by calculator and same will be used for storing the operation intended by user. *display outlet is used for syncing with output textfield. *cbutton is for clearing the textfield. NSString *storage object is used for storing last operand in the memory when operator button is pressed. operation variable is of enum type and one operation at a time will be stored here. Other IBActions represent the method calls when the buttons are pressed. //  Created by Deepak Keswani on 14/02/12. You can add these methods above the viewDidLoad method. 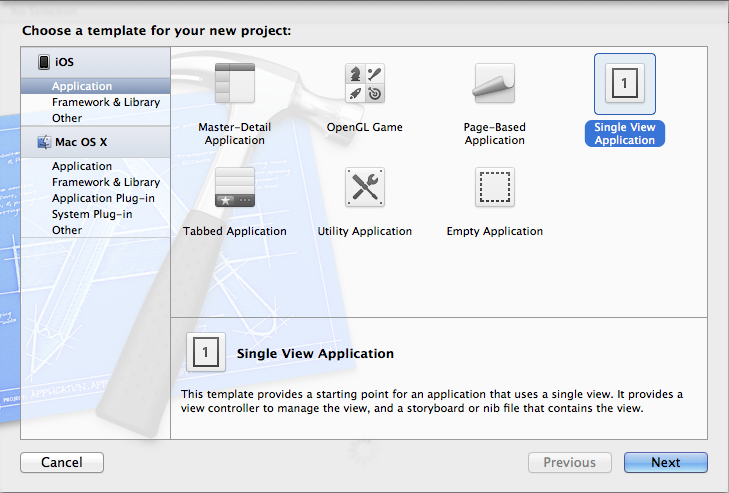 Go to Storyboard view, click on ‘view controller’ from the ‘View Controller Scene’. Now click on ‘show the connection inspector’ in the right panel. This will show the outlets and Received actions two subsection. Use the circle on right of each object to turn it into plus and drag and link with correct objects. After linking your final screen should look like this. Step 6: Build and Run the project to see the Calculator app in simulator. 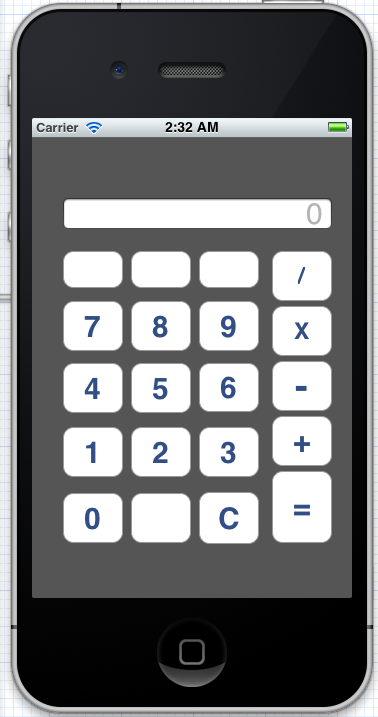 If all goes well, you should be able to see calculator program running in iPhone Simulator. Do let me know if you were able to perform the steps as mentioned in this post and what do you feel about this program. Hi Deepak! Let me congratulate you for a well written article! Your website is a very nice initiative which will help many. I hope you don’t mind if I put forward a suggestion. In this calculator app while a user is pressing a button you have written 9 methods for each number. Rather than doing that you could have just made a button, dropped the action on implmentation file and written this method. Once you have written this method, you can just copy the number 9 times and change the title to respective digits. Thank you so much for adding this valuable comment. This is definitely concise & fast way of writing code. Thanks a lot Deepak, for this very comprehensive tutorial, but how to implement a floating point. Thanks in advance, for eventually positive answer. IBOutlets are created for setting and getting the values from the UI Objects in the code. We need to get and set the UITextField content. IBActions are created to capture the events from UI Objects and assign code block to them. We need to capture TouchUpInside Event on UIButton, thats why buttons are declared with IBAction. I am not sure, you might be missing some semi colon or using colon instead of semi colon. Here is working code available on github. You can download and compare this with your code. How would I go about adding more accuracy with decimals? Love the simple tutorial. Would it be possible to explain how to put in a decimal point however? How can I get the display to show the whole equation, not just “number” then clear and “number” then clear and “Sum”? Is it a syntax issue? 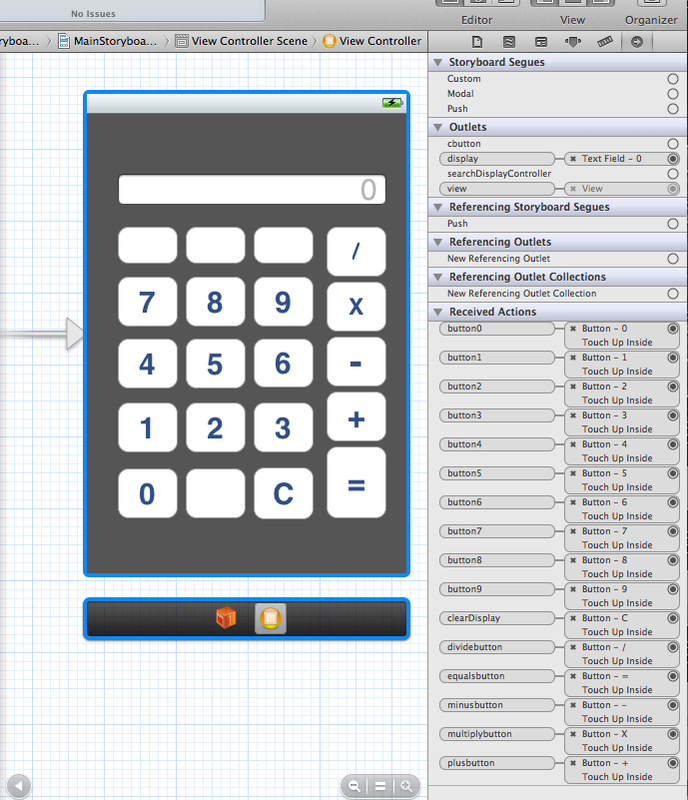 Do you happen to know the logic behind calculating ± in xcode calculator. It is just matter of setting the operands with positive or negative value. You can achieve that by multiplying operand with +1 or -1. Hi thanks for the sample. What if I want to have a multiple line calculator? Should I use UITextView? Hi, I was wondering why do you only need to have -(IBAction) plusbotton in the header file but not for the other operations? Thanks in advance for any comment. Well, Ideally as a good practise, you should have all the declarations in the header. But even methods directly added to implementation can be invoked from interface builder objects. So code works, but as a good practise you should have all declarations in header. hi , thanks for the simple way . i got a question maybe u can help me with , how can i Calculate a textfield in a loop or in an array programmatically ? i got a textfield in a loop and i wnat to Calculate the input in another textfield . If number of textfields are fixed, you can follow simple development approach using Interface Builder & interact by binding IBOutlets. In case number of textfields are dynamic, you need to take code approach. In this video my friend Vivian is trying to explain both the approaches while coding and interaction with buttons and textfield. I am sure you’ll find this useful for your requirement. thanks for the help , but i know how to take code approach. and they give me an answer but i didn’t understand it maybe u can and explain it to me if u dont mind . nice plz also discuss the decimal point .. Switching keys usually there in calculators for degrees and radians if only one key. Thanks a lot 🙂 The code really helped me..
Can you please tell me how to perform the operations successively and display the output? Can we modify the same code to do the above? Looking forward for your support and favorable early reply. i am a beginner and the code helped me a lot to understand. from the left most digit instead of clearing the whole number string? kindly give me some idea. Please tell me how to add numbers continuously without using '='.